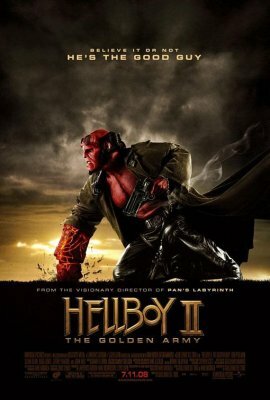 My trip into the city centre earlier was to catch Hellboy 2. So here’s the short review – not a bad film. The action was good. The special effects were good. The acting was (you guessed it) good. It had nice character moments and it proved again that Ron Perlman should get more leading roles because he’s manages to get more character on screen under all that makeup than some of the prettier action heroes do with nothing to get in the way of their performance.